for female voice, actor, ensemble, interactive electroacoustic system and video (ad libitum). Title of the work: Un posible día, quasi un radiodramma -almost a radio play-. Orchestration: soprano, actor; ENSEMBLE: flute (also piccolo, alto flute and bass-flute. ), clarinet in Bb (also bass-clarinet. ), percussion [1 player: vibraphone, 2 tam-tams (high, low), 4 sups. cymbal [high, medium and two lows), susp. cymbal (low), 4 cow bells, Chinese cymbal, 3 Javanese or Thai gongs (high, medium and low), triangle (low), spring coil, glockenspiel, whip, bass-drum, 2 maracas, 1 timpano (32' = 73 cm. ), 1 Tibetan singing bowl, 4 wood blocks, 1 rainstick, 4 bamboo-cimes, 5 tom-toms, metal chimes, a 6th string guitar, 4th string violoncello or low string piano used by the percussionist to use at the edge of a cymbal, metal chimes and 1 flexatone], piano, accordion, violin I, violin II, viola, violoncello, double-bass and electronics. Other objects used as musical instruments: 18 wooden pencils (except for the percussionist and the voice, two pencils for every musician); 9 little toys: except for the singer and for the percussionist, each performer will be assigned a small toy that produces sound (mechanically, not electronically), like a music box, clockwork toys, little harmonicas, toy rattles, toy drums (as small as possible); 7 crystal glasses (one for every of the next players: flute, clarinet, piano, accordion, violin I, violin II and viola), each one preferably with a different timbre. Commission: French Ministry of Culture and Ensemble 2e2m. Original radio play: Ana Candida de Carvalho Carneiro. Lyric texts (scenes II and IX): José Manuel Recillas. World premiere: 20.05.2011, Maja Pavlovska (soprano), David Jisse, actor, ENSEMBLE 2E2M, Pierre Roullier (conductor), technique: La Muse en Circuit. Festival Extension, Théâtre de Villejuif, FRANCE. Technique: La Muse en Circuit, Centre National de Creation Musicale. 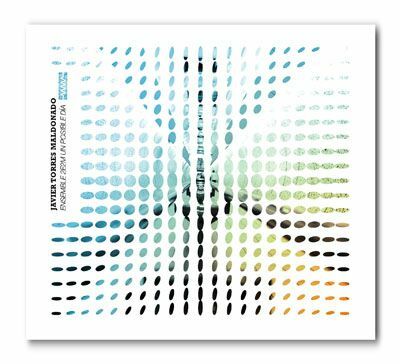 Music informatics and sound design: Javier Torres Maldonado and Max Bruckert (GRAME, Centre National de Création Musicale of Lyons, France.) The electroacoustic part was mixed at the studios Botticelli and Cage of “La muse en Circuit” with the assistance of sound engineer Laurent Codoul. Graphic art and video (optional): Magali Lara. for soprano, actor, ensemble, electronics and video. Co-produced by the Ensemble 2e2m, the Parisian National Center for Music Creation and new technologies “La Muse en Circuit” and FONCA/CONACULTA, Mexico. Texts by Ana C. de Carvalho and J. M. Recillas. an article about the application of Computer Asissted Orchestration techniques in this work. This paper is published in the book "Arte e Fisica del Suono", it includes essays by John Chowning, Paolo Allia, Davide Bonsi, Anna Dondi and Cesare Beltrami. LINK. UN POSIBLE DÍA (A possible day) results from the need to approach a genre which, although not related to musical drama as such, makes it possible to create fluctuations between imaginary drama and music.This idea made me ask playwright Ana Candida de Carvalho to invent a radio drama especially performed on that occasion. However, “Un posible día” is not just a radio drama. With original videos by painter Magali Lara during the premiere, it can also be called a multimedia show. It is not only in the way the different musical and theatrical elements interact with each other that we can find the idea of fluctuations between imaginary drama and music, but also in the intention of building up situations that result from the musicality of speech and the theatricality which is implicit in the dynamics of certain musical processes. In that regard, the way the voice of the leading actress is written is an obvious answer to my intentions: it simply wavers between singing and recitation. Un posible día is a self-reflective piece with one purpose : that of answering a question whose answer is not to be found through words, but through itself : can we consider radio drama as a living genre still valid today? From several years my research was oriented in part towards the possibilities to translate and transform musical objects from their spectral information into a sort of “re-synthesis”, made with different sound sources. For this purpose I used, in addition to spectral analysis, some libraries developed at IRCAM, like the Repmus, distributed with the software Open Music. However the resulting relationship between the technique used and the source sound material was not always satisfactory, especially because it was intuitive -in regard to the deduction of instrumental combinations-; indeed it was based more on my knowledge of orchestration skills than on scientific deductions. It was in 2003 that I heard about an interesting research project in the field of Computer Assisted Orchestration at IRCAM, but really I could have access to these instruments since 2009. 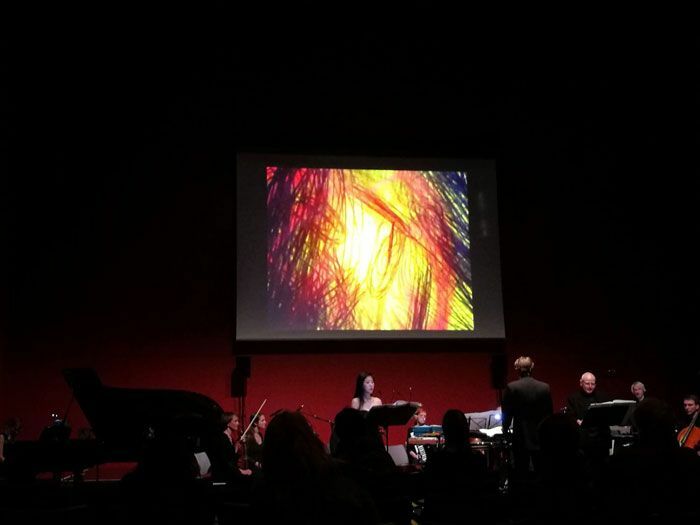 I took many important and interesting suggestions from the first researcher who worked in the algorithm of Orchidee, my friend Grégoire Carpentier and in particular, using the software developed by him as part of the team Music Representations Group of IRCAM, I discovered a new dimension in the alchemy of composition and orchestration. The original harmonic field was integrated with other pitches, chromatically opposed. To open the algorithms proposed in this page it is necessary to download and install properly on your computer the PWGL application, as well as to install and/or enable the libraries esquisse, grythm and ksquant. To operate some transformations of the materials obtained through Orchidée I developed several alogrithms in the software for Computer Assisted Composition PWGL. The starting point was a harmonic field derivated through Orchidée (solution 17). This LINK allows to download the PWGL patch containing the basic harmonic field of the work. The first algorithmic transformation from the harmonic field exposed above is contained in this PWGL patch. For the independent derivation of different voices, the original pitches sequence was “rotated”. Successively every pitch was associated to different rythmic values. It was also applied contractions or expansions to the inter-relations between both parameters. The piano part presents all voices "condensed" at the begining of the piece. Download the algorithm (PWGL) from THIS link. “Un posible dia” was composed for voice (soprano), actor, ensemble and electronics. Public performances of the work can include videos by Magali Lara. Download the list of acoustic instruments by clcking HERE. Download the Tchnical rider (electronics). The dramatic subject focuses on an ordinary day in the life of a common woman (the protagonist), whose loneliness plunges her into various sound landscapes. On the stage of an imaginary theatre we see (almost like a “film”, due to the speed with which the various scenes often follow each other, but without explicit images, despite the presence of the video in the live show) the sounds and images from that day like any other, until an encounter, that happens in the woman’s imagination, radically changes the apparent predictability of the events». The idea of working on a new piece with characteristics belonging more to the radio play than to the melologue had already been in my mind for some time, but the difficulty was to find a suitable subject and a text. The solution in the end was to ask the dramatist Ana Candida de Carvalho and the poet José Manuel Recillas to create the texts especially for the purpose. So, de Carvalho wrote the entire text of the radio drama and, for the scenes III and X (Introspections I and II) I used two of several poems wrote by Jose Manuel Recillas, inspired on several introspective aspects of the protagonist. Original radio play in Italian, by Ana Candida de Carvalho. WORLD PREMIERE: 20.05.2011, Maja Pavlovska (soprano), David Jisse, actor, ENSEMBLE 2E2M, Pierre Roullier (conductor), technique: La Muse en Circuit. Festival Extension, Théâtre de Villejuif, France. CONCERT PROGRAM. NICE, FRANCE: 22.11.2011, FESTIVAL DE MANCA, CIRM, Maja Pavlovska (soprano), David Jisse, actor, ENSEMBLE 2E2M, Pierre Roullier (conductor), technique: La Muse en Circuit. Théâtre National de Nice, FRANCE. 16.11.2017, German premiere, Deutsches Hygiene-Museum of Dresden, KlangNetz Dresden concert seasson, Alessia Hyunkyung Park (soprano), Ensemble Courage, Ulrich Kern (conductor). I composed Un posible día in my personal studio in Milan and during two artistic residencies at La muse en circuit, Centre National de Création Musicale (studios Botticcelli and Cage) in Paris, between 2010 and 2011. The last mix of the electronic part was made with the assistance of the Sound engineer Laurent Codoul at La muse en Circuit. The electroacoustic part is composed for a quadraphonic sound system. For the interactive control of the electroacoustic part and video is used a Max patch made by my friend, assistant and collaborator at GRAME (Centre National de Création Musicale) of Lyons, France, Max Bruckert. 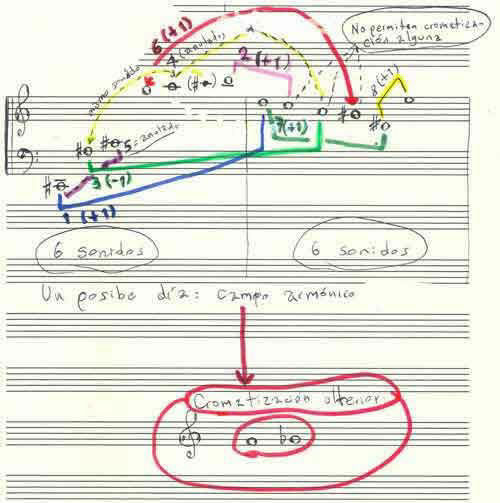 A recorded recitation of the texts made by David Jisse on December 2010 was very important, not only for the use of his voice in different acousmatic derivations but in general as a starting point for the composition of the work. Originally conceived as a live show, Un posible día can include the projection of the videos created specifically for this work by the Mexican painter Magali Lara. Les lundis de la comteporaine by Arnaud Merlin. 27.06.2011, 20.00 h. France Musique (Radio France.) Javier Torres Maldonado par l'Ensemble 2e2m. Works programmed: “Un posible dia”, quasi un radiodramma (2010-2011), for soprano, actor, ensemble and electronics, “Rosa Mutabile” (2010), for 2 instrumental groups, “Esferal” (2006), for orchestra and electronics, “Obscuro Etiantum Lumine” (2004), for violin and 3 orchestral groups. Concert of 20.05.2011. Available on internet from 27.06.2011 since 27.07.2011. Radio Interview To Javier Torres Maldonado By Jean Pierre Derrian. Live. Available on internet only until June 8, 2011.